Hey, im making an AVR speedometer, and i need to see if my math is right. I have an 8 inch tire. i am going to set a tiny eye up to measure approximately 4 ticks per 1 revolution of the tire. lets see if i got this right: the circumference of the tire from 8 inch diameter is 25.12inches. meaning the tire would move 25.12 inches in 1 revolution. in those 25.12 inches, the CPU will measure 4 ticks. if i divide 25.12 / 4 ticks in one rev. i get 6.28 inches per tick. take the number of ticks the processor gets from the sensor for 1 second. then multiply this by 6.28 (distance per tick). then i multiply it by 60, to give inches per minute, then multiply again by 60 to give inches per hour. then take that divide by 12, to get feet per hour. and then take that and divide by 5,280 feet to get miles per hour. Do i have my math right? or no. it just doesnt seem right. for example if i am going 25 miles per hour, thats 70 ticks per second. that seems kinda fast..
im working on a similar project, well thinking how it works so far. Anyways, from what I have read, division (floating point) operations are very CPU intensive as it doesn't have a floating-point processor, so if you are going to multiply tick's by a number to get inches, why not multiply it by ticks/mile instead? well im using BASCOM for floating point. so floating point isnt an issue. i am just wondering if my math is right. because ive had people follow behind me in a car to get my speed and ive went well over 30 with my cart. but the issue is the tire just didnt seem like it would pick up 70 ticks per second. LOL. thats what my math works out to be if you work backwards. well the carts tires are 8 inches in diameter. that means the cart would travel 25.12 inches in 1 revolution. but the sensor is setup to pick up 4 ticks per revoultion, meaning thats 6.28 inches per tick. or 25.12 in 4 ticks. hehe. so from that info, how would i get miles per hour? distance=rate x time. 30mph=20ft/sec=240in/sec=9.6 tire revs/sec (576 tire rpm), and about 38 sensor tics per sec (4 per rev). You can measure the ms between tics or count how many in an interval of one sec, which ever way is easier. Both use a timer. So you get 2.8 ticks per second for every mile an hour you are going. No math involved, short and guaranteed to work. Of course you have to have as many IF/THEN statements as miles per hour you want to measure but I bet it will be a more processor efficient process than doing floating point and it will be just as accurate. or i could use a for loop. i love that concept. :-) Thanks. yea but my sensor is setup to pick up 4 ticks per revolution. How would i plug that into your formula. Which you have to trust me on, or calculate yourself when you change the wheel size or ticks per revolution. can you expand on your formula a little bit? for example how do you get 30mph into ft/sec? Your analysis is correct. But, why perform two multiplies of 60? Also, 8" x 3.141593 = 25.132741", which will only be a small amount more accurate but, none the less, more accurate. You did not specify your end application so, that minute accuracy difference may not matter. But, as the tire diameter and Pi are both constants, and, as you already know that you are going to use 4 ticks per revolution, 25.132741" / 4 = 6.283185", 6.283185" can simply be a constant, as well. Not that it matters but... Oddly, 6.283185" = 2 x Pi and is directly related to radians! So, you could also express the rotational data as radians per second, radians per minute and, radians per hour. As all but the sensor Ticks resolve to constants, the sample interval can be recalculated to reflect MPH directly - with out any math calculations at all. As I chose a 1 second sample interval to determine MPH and, as MPH for a 1 second sample interval = 1.427997 MPH, simply take the ratio of 1 MPH and the 1.427997 MPH value that was calculated in the above examples. So, for the direct reading interval method, the time between samples will be 0.700282 seconds. That is, if you use a sample rate of 0.700282 seconds (700.282 miliseconds), the result will be direct reading (in MPH) without any math at all. Incedentally, this was the very reasom I initially chose a 1 Second sample interval. I use the direct reading sample interval method in PLC programming quite often in my "Day Job." jayjay's example formula confirms my example and, my example confirms his formula, as well. Wholy crud. thats WAY over my head. LOL. its been so long. I cant get the same answer. i must be putting it in the calculator wrong or something. oh BTW, its for a golf cart. im building an instrument panel to go above the cupholders. Now that you've computed everything to many decimal places, in practice you [probably] will need to calibrate the actual device and tweak the numerator/denominator, just as with a bicycle "computer". Nominal diameter is fine, but under load there may be some compression. So you find a level spot and move the machine for, say, 100 revolutions and measure the distance. A drive wheel can also have slippage (e.g., tractor). well this is a golf car that is used in a camping RV resort thats driven on the park streets. What do you output to? Needle? LED display? LCD display? Might be cool to also have a watt meter or batt charge meter. Does the phrase Peukert Effect ring a bell? Because I have the magic! Well, I have my trusty HP calculator set to 6 decimal places. I was just too lazy to change it. But then, I guess I was much less lazy taking the time entering all of those decimal digits. It is certainly good to go through the calcs and see how close you can get with integer ratios, etc. The point I was making is "premature optimization is folly", or GIGO, or something like that--an inflated rubber wheel/tire will compress under its working load, and perhaps slip. You can do the "static" calculations to a whole bunch of decimal places, but you are going to find yourself much farther off that you thought. I agree! At the time, I didn't know what the application was. In the past, and at work, all of the diameters of spur gears and pulleys are fixed (not like a bicycle tire or golf cart tire) and precision to about 4 or 5 decimal places is the norm. While your statement about the folley of using greater accuracy then you need is true, when dealing with conveyors, where millians of items (beer can) travel on them per day, a few thousands of an inch error greately adds up over hours, days weeks and years. So, if that conveyor is running say, a half FPM (foot per minute) slower than what is thought, and that conveyor sets the pase for the entire rate of the line, that will add up to a lot product loss over time. ok. i went to the campsite and measured my tires. they are actually 18" tires with 8" rims. hell i thought they were 8 inch tires, well i thought wrong. so they are 18inch tires. let me see if i got this right. 14.13 inches per tick. 4 ticks per rev. so that means .803 x 4 ticks = 3.212MPH? just making sure i have this right. a 2 digit blue LED display. inside an old speedometer case. it has a 5 digit VFD right below that which contains my odometer. its going in the dash just above the cupholders. i dont give a rats a** about the battery, its a petrol cart. 2 cyl. im adding a 4x20 VFD right next to it thats going to display the clock, engine RPMs, fuel level, and battery voltage. i need to tap off the engines hall-effect for the RPM since its electronic egnition. now my next problem is the sensor on the tire. im thinking about epoxying 4 magnets on the backside of the rim, and using a hall-effect sensor i have here. the problem is the hall effect sensors range is REALLY short, i mean the sensor has to be a quarter of an inch away from the magnet before it looses "sight" of the magnet. the issue there is, that means my mount between the rim and sensor cant shift. if it does, it could literally smack the sensor or magnet off. oops. Can you mount the magnets off of the drive shaft? If you can figure out how to mount the sensor where the drive shaft and sensor are a stable distance (relative to each other) that would solve that problem. If the vehicle is not front wheel drive, some re-calculation will be needed to compensate for the reduction on the rear axle. no its a golf cart. an ordinary EZ-go golf car. it has a CVT transmission, which is nothing more than a drive clutch, a driven clutch on the rear gearbox, and a belt between the two. the front wheels are on nothing more than a berring and a tie-rod to the steering box. to steer it. what i could do is mount A magnet on the back of the gearbox driven clutch where the belt goes, and then use a gear ratio calculation. I THINK the gear ratio is 4 to 1. i think, i dont exactly know. if it was 4 to one, would that mean i do the basic miles per hour calculation then divide by 4? At this school I went to some of the students were building an experimental aircraft using wood construction and they were worried about the volumetric size of the disposable containers they were using for measuring out the glue ( it wasn't a straight 50-50 mix) so one student ( he was chinese and good at math)spent a whole day trying to determine the actual volume by measuring and doing some fancy math. After some time,another student(not so bright but getting impatient) just poured in some water and put it into a measuring cup and came up with the answer. what i could do is mount A magnet on the back of the gearbox driven clutch where the belt goes, and then use a gear ratio calculation. Isn't that really along the same lines as planting everything at a drive shaft? The whole point of my previous post was simply to suggest that both, the magnets, as well as the sensor, be moved to a stable platform - relative to each other. I THINK the gear ratio is 4 to 1. i think, i dont exactly know. if it was 4 to one, would that mean i do the basic miles per hour calculation then divide by 4? If the gear ratio really is 4:1, just mount one magnet to the pulley. It will be the same as though you mounted 4 magnets to the circumference of the wheel. so i assume this means the pulley will spin 12.25 times for one tire revolution. Even being 10 years late in this conversation, this is why I love to do speed math in metric system... hehe. Well even ten years later, only 17/64ths of Americans understand the metric system. So did you catch this, up near the top? "Anyways, from what I have read, division (floating point) operations are very CPU intensive as it doesn't have a floating-point processor"
"well im using BASCOM for floating point. so floating point isnt an issue. " Well, I got a laugh out of that. I'll ignore the slam on Basic programmers, however, , and just note that for a micro running at 16 MHz, and the typical update time for a human readable display, there is time for lots of FP math..., (regardless of the underlying language within which it is programmed)! "Isn't there already an Arduino library for that? !" I have never thought about an automobile speedometer. A cycle computer just has a single pulse per wheel rotation. You measure the time between pulses to calculate the rotation speed. Hence MPH or KPH from the wheel circumference. In practice, you process the results for the display. A human likes to see steady numbers. Cycle computers tend to do all this on a single CR2032 coin cell. And have several thousand miles of battery life. A golf cart speedo will get faster pulses from its smaller wheel circumference. Do you really drive at 30 MPH on a golf course? Do you really drive at 30 MPH on a golf course? Depends how close it is to happy hour. It's good to hear that you are designing an auto speedometer. However you will find yourself asking the same question that I do whenever I make an AVR clock radio or MP3 player; WHY am I doing this? In the civilized world, every car sold and many of the toy cars sold has a real legally-calibrated speedometer mounted in plain sight on the dashboard that is designed to operate error-free for the life of the car. Can you do better? 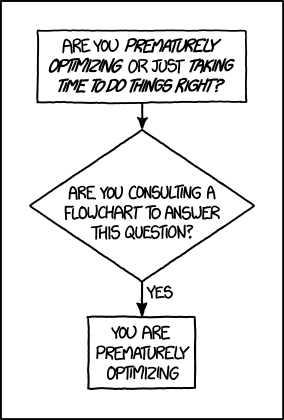 Maybe, for hundreds of hours of development, testing, and calibration time. How many hours have you spent on this already? My clock radios use an Arduino Nano dev board, an RDA5807M FM-stereo module, a DS3231 real-time clock, a 320x240 TFT screen, an 18650 Lithium-Ion battery and +5V USB charger board, and a PAM8406 stereo audio amp. I have a bank of about 30 NeoPixel LEDs that blink fully-off/on in various colors when the setting on the 'egg-timer' has expired. The LEDs light gradually over the course of about 45 minutes from fully off to fully on to simulate a natural sunrise dawn instead of a buzzing piezo or screaming shock-jock to awaken the user. And there is a second RDA5807 that scans the RDS text from a dozen stations so that I know what is being played on the other channels. "Oh boy, the classic rock station is playing Stairway To Heaven again". And the MP3 player (a DFplayer $2.50 unit) plugs into a MIDI controller, so that I can play keyboards along with classic rock original recordings and adjust MasterTune, instruments, and effects with potentiometers and touch-screens. Aside from that and the 50-70 hours that I spent developing it (half of that just to understand the elaborate C++ class construction that was scattered over four files), it's no different from a $12 eBay MP3 player. So spending 50 hours to emulate a $12 MP3 device means I do mid-level microprocessor development work for about 25 cents an hour. Hire Me! But seriously, though, Why are you developing/testing/debugging/troubleshooting/encapsulating a single unit automotive speedometer? You should consider getting married if you have so much free time. Realise that this thread had been dead for ten years! Anyway, I'm definitely on the side of "use INT math unless you absolutely must use FP". Even if the INT math has to be 32 bits. And always work within (and not beyond) the precision of both your input data, and your output requirements (here, displaying MPH in either miles or perhaps tenths of a mile/hour). That works out to a required math precision of only about 1 part in 100 in the (ancient) OP case. that this thread had been dead for ten years! Pretty much like the content of Simonetta's post. Simonetta seems to have no concept of what a hobby is, nor of doing stuff as a learning exercise. "But seriously, though, Why are you developing/testing/debugging/troubleshooting/encapsulating a single unit automotive speedometer? You should consider getting married if you have so much free time." To be fair, he did say it was for a golf cart. I haven't played golf for about a hundred years, but I'm guessing golf carts don't have speedometers as standard. There's golf carts and then there's GOLF CARTS! This one looks like it comes pre-instrumented. This one was in the doorway of a local Costco store, which is a bit like a Walmart store. They sell food, household items, and this and that. And cool grown up toys! Too bad I don't still have my trailer, or I'd have had some explaining to do when I got home! 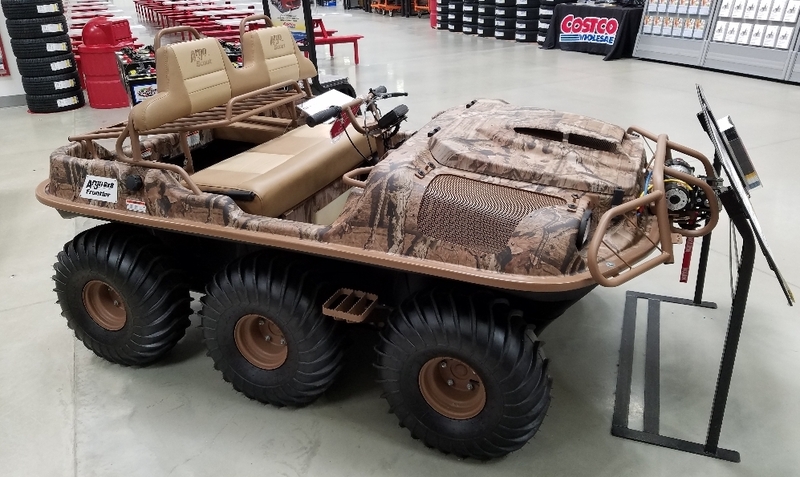 There are golf carts, and then there are GOLF CARTS! So if you are trying to escape from an angry Golf Professional, you have to drive your golf cart at 150 MPH. It all sounds rather dangerous. but how accurate are they ... ?